Mechwarrior Costume - I talked my oldest son into being a robot for Halloween to save money. He decided he wanted to be a cool robot, so he chose a Madcat Mechwarrior. The whole costume is made of cardboard, tape, glue and paint. The legs are jointed at the ankle, knee, and hip. The top is separate from the legs so it can pivot, and the cockpit is hinged so candy can be placed inside. Go to http://www.quitegraphic.com/Videos/HalloweenVideoPage.html to see video of this costume in action. 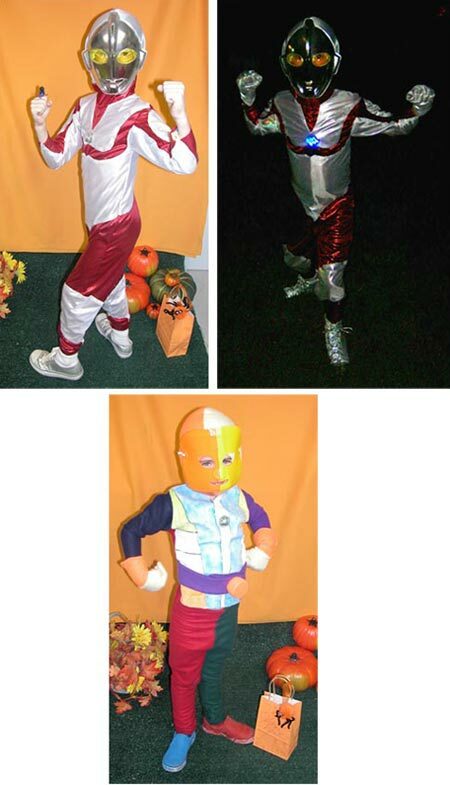 Ultraman and Color Boy - My oldest son decided to be Ultra Man, my husband found the mask online and I hand stitched the outfit. I used his pjs as a template for the basic pattern. My youngest son imagined Color Boy himself and told me what he looked like so I could create his costume. Both Boys were ecstatic about their outfits. 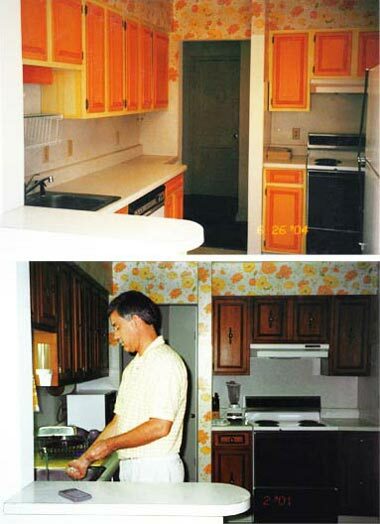 Home Kitchen - 2002 I grew tired of the dark cabinetry in this small kitchen, so I primed them with Kilz and tissue papered them to match the existing wallpaper. This made the whole room bright, happy, and airy. 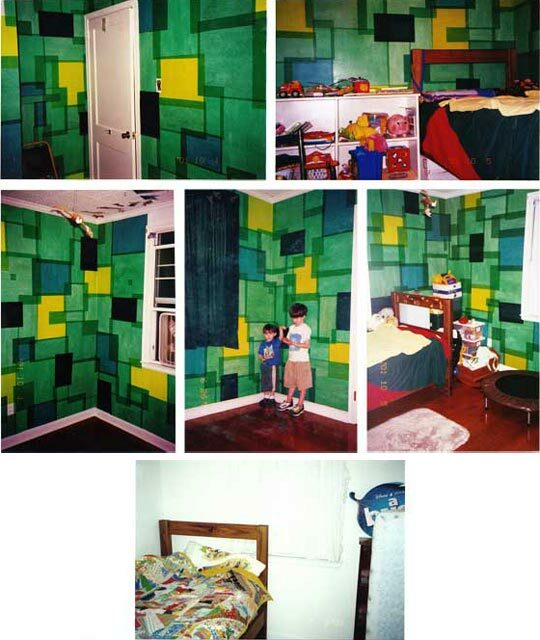 Children's Room - 2001 Bedroom for boys. The house I purchased was built in 1940, so I knew it had lead paint. 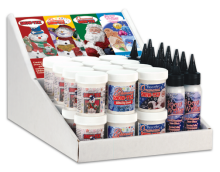 I did not want the boys exposed to it, so I painted their room with Kilz 2 and then used a water-based polyurethane to adhere tissue paper to the walls. The boys absolutely loved it and miss it since we moved. Below the finished photos is what it looked like before.